Chandrahasa Hudugodu, a Yakshagana artiste, passed away during a performance in Elajitha village near Byndoor in Udupi district on Sunday night. The 50-year-old Yakshagana artist was depicting the role of Salva in the 'Bheeshma Vijaya' sketch when he suddenly collapsed on stage due to a suspected cardiac arrest. He was immediately rushed to a hospital in Byndoor by his son Pradeep Gudaguru who was present in the audience, however, he was announced dead. Chandrahasa was famous for portraying the role of Salva and was locally known as 'Abhinaya Salva'. "He was a person dedicated to his craft. He could perform a variety of roles. He notably performed villainous roles like Keechaka, Kaurava, Dushtabuddhi and has also portrayed hero roles like Krishna. He was appreciated by everyone for his delivery of dialogues,” M Shantaram Kudva, a Yakshagana artist from Moodbidri, told TNM. The performance was being screened live on Facebook but it was stopped when the incident occurred, at around 11:30 pm. Chandrahasa was performing as part of the Jalavalli Yakshagana Mela, which is a touring troupe of Yakshagana artists. He was well versed in the Badaguthittu form of Yakshagana performed in Udupi and Uttara Kannada districts and often played the role of villains. In the Badaguthittu variety of Yakshagana, more emphasis is placed on facial expressions and dialogues. Earlier, he used to tour with the Saligrama Yakshagana troupe but he quit the group four years ago, to be involved in politics. Chandrahasa was also the president of the Hadinabalu Gram Panchayat which is near Honnavara in Uttara Kannada district. He would perform as a guest artist in various melas and events whenever he was invited, like the performance on Sunday night, which, however, proved to be his last. 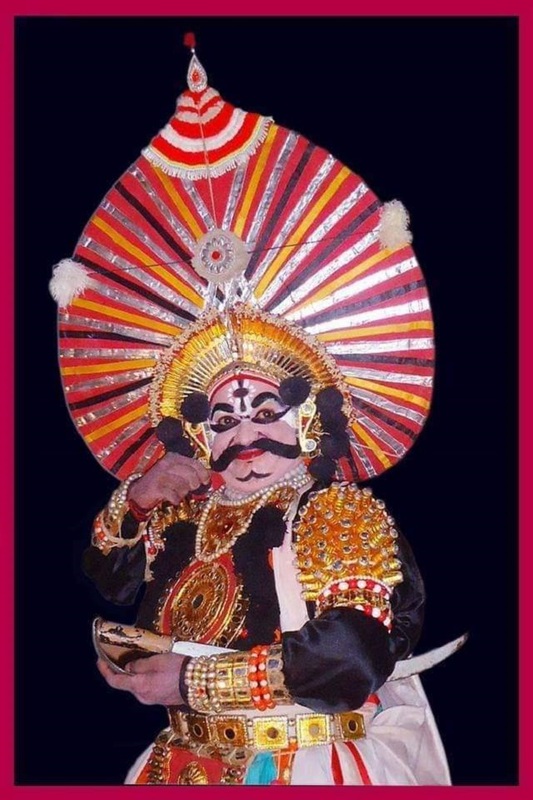 He leaves behind a legacy of Yakshagana performances.